The focus of my research interests is climate variability at different time scales (from intraseasonal to interannual and decadal) and climate extremes. I am also interested in various feedbacks in the coupled ocean-atmosphere system associated with low-frequency changes of the global thermohaline circulation (THC). While our understanding and modeling of this component of oceanic circulation have significantly improved recently, the effect of THC on climate remains a contentious issue. Working at the Marine Hydrophysical Institute (Sevastopol, Ukraine) for the last 6 years, I have been studying regional manifestations of the North Atlantic Oscillation/Arctic Oscillation (NAO/AO) and El Nino-Southern Oscillation (ENSO). Using historical data sets (COADS and meteorological observations) and ECMWF and NCEP re-analyses, I applied a combination of statistical methods, including spectrum analysis, Empirical Orthogonal Functions (EOF) decomposition and regression techniques, in order to analyze dominant climatic signals. --- NAO and ENSO are the two most significant global atmospheric signals that generate regional interannual climate fluctuations and associated anomalous weather conditions over the Eurasian/ North Atlantic region. NAO accounts for up to 75% of interannual variance of monthly surface air temperature (SAT) anomalies and up to 55% of total intramonthly SAT variance in the western Mediterranean region and Western Europe in winter/spring.� These effects are due to the spatial-temporal variability in the storm tracks. --- The most significant ENSO-related signal occurs in temperature variations in the range of two - three weeks. They account for up to 50% of winter total SAT variance in the Euro-Mediterranean region in this range of periods, while during other seasons they account for less than 25% of the variance. --- Maximum magnitude of the regional monthly anomalies of the temperature and sea level pressure and variance of synoptic fluctuations in winter are found to occur over the Northeastern Europe and Arctic Zone in the years of the NAO/ENSO extremes. --- Significant linear trends in the sea surface temperature (SST), precipitation, sea level pressure (SLP) and air temperature in Europe and North Atlantic are the result of both natural and anthropogenic factors. The increase of the SST difference in the North Atlantic region (between the tropics and the North Pole) and the intensification of zonal atmospheric circulation have occurred mostly because of the cooling of the western part of the subpolar gyre.� Maximum values of the linear trend in SST are detected in the region where the deep North Atlantic water is forming. Linear trends in SAT, SLP and precipitation over the Euro-Asian region are mostly due to the intensification of NAO in 20th century. --- Stronger winter anomalies of NAO often precede the beginning of an ENSO event in spring. Joint influence of ENSO and NAO on the interannual/decadal time scales can lead to extreme or unusual� meteorological conditions over the Euro-Asian region. I have published several papers describing these results in reviewed journals and books and presented some of them during international meetings. In particular, I took part in the International summer school "Carbon cycle and Climate Changes" (METU, Ankara, Turkey, 2002), in "Tracing and Modeling Ocean Variability" (ICTP, Trieste, Italy, 2003), in international conference "Lomonosov's chteniya"- 2003, 2004, 2005 (the Black Sea branch of Moscow State University, Sevastopol, Ukraine), and in the "Workshops on climate variability in the 20th century" (ICTP, Trieste, Italy, 2004). 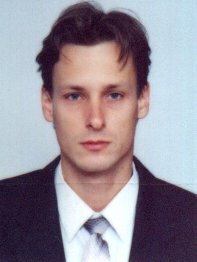 In 2002-2005 I was awarded several scholarships, including those of the President of Ukraine, of the National Academy of Sciences of Ukraine, and of the World Federation of Scientists. In my future Ph.D. study I am planning to concentrate on ocean, atmospheric and climate dynamics. Especially, I would like to explore the role of the ocean and the coupled ocean-atmosphere system in climate change both in the world of today and in the past.